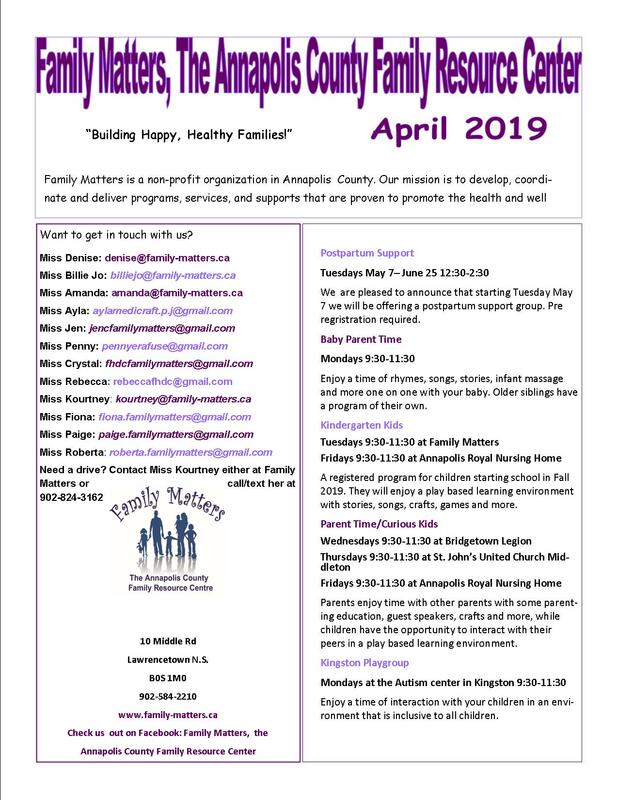 To develop, coordinate and deliver programs, services, and support that are proven to promote the health and well being of children aged 0 to 18 years and their families, guardians, and caregivers in Annapolis County. Our next Board meeting will be on January 28th, 2019 at 12:30p.m. Holiday Banquet is coming soon!